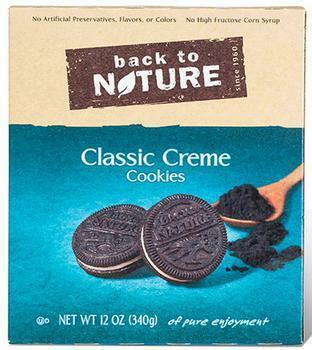 Back to Nature Foods is expanding its earlier recall of Classic Creme cookies to include four additional lots. In addition to the previously recalled packages that were marked with a unit UPC# 19898-01103 and with best by dates of 10 SEP 16 and 16 SEP 16 labeled on top of the package, Classic Creme cookies packages marked with a unit UPC# 19898-01103 and with best by dates of 13 AUG 16 and 08 OCT 16 and 21 OCT 16 and 22 OCT 16 labeled on top of the package are being recalled. The recalled product was distributed to retail stores nationwide. Customers who purchased the recalled product and have an allergy to milk should destroy the product or return it to the place of purchase for product replacement or refund. Consumers with questions may contact Back to Nature’s consumer relations center at 844-275-5845 Monday through Friday from 9:00 a.m. to 5:00 p.m. (ET), or online at http://www.backtonaturefoods.com and click Contact Us.